Neo Lithium Corp. announced that the Company has completed its comprehensive environmental base study (“EBS”) and has submitted it to the authorities of the Catamarca Province, while also making significant progress in other critical technical aspects at its Tres Quebradas lithium brine project in Catamarca Province(the “3Q Project”). The study was led by GT Ingenieria SA, an independent consulting firm based in Mendoza, Argentina, starting over two years ago. The study involved a team of over 15 experts, most of them from Catamarca University and other well recognized institutions. The study covered a number of important areas such as zoology, botany, archeology, microbiology, limnology, soils, quality of air, social studies, paleontology, transport impact on environment, water quality, hydrology of the basin and hydrogeological modeling to predict brine level at different production scenarios. The EBS concluded that there were no material environmental issues that would impede the development of the 3Q Project. The hydrogeological model showed that the extraction of brine from the salar will produce minimal impact on the brine level of the salar even under extraction scenarios of 60,000 tonnes of lithium carbonate per year. As previously stated, the EBS included an analysis of the Ramsar site (wetlands environmental awareness zone) and the measures taken to assure that there will be no adverse impact on flora or fauna in the area. The EBS confirms that significant nesting grounds are only found well outside of the proposed mining and operations area of influence. All the information gathered forms part of the feasibility study for the project which is currently in progress. It also forms the basis for the environmental permit applications for the 3Q Project, which will be submitted in due course. The Company is working along with environmental authorities to ensure the highest quality of work and compliance with local regulations, with an objective to protect the wetlands located outside of the project’s area of interest. The pilot ponds have been operating for over 18 months and are now producing high grade concentrated brine of approximately 4% lithium to feed the pilot plant. Two sets of new ponds have been built on the salar, and the Company has tripled the evaporation ponds surface this year and will continue building ponds over the next four months to ensure a correct pond infrastructure going forward. The evaporation obtained on the pilot ponds built on top of the salar are higher than the pilot ponds built in the nearby alluvial cone, mainly due to higher temperatures and more wind on top of the salar, than surrounding alluvial grounds. 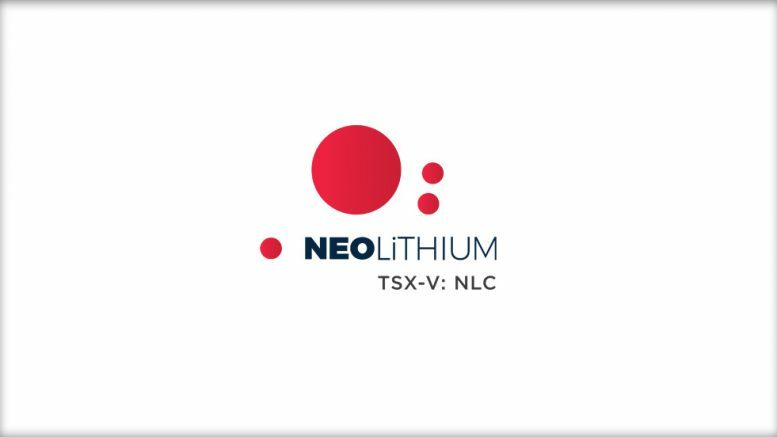 Be the first to comment on "Neo Lithium Submits Environmental Baseline Study to the Provincial Authorities and Provides Operations Updates"